← Carrie: Worth the Bloodbath? The genre of horror spans across all kinds of media: books, movies, and TV. But none is so immersive as video games. 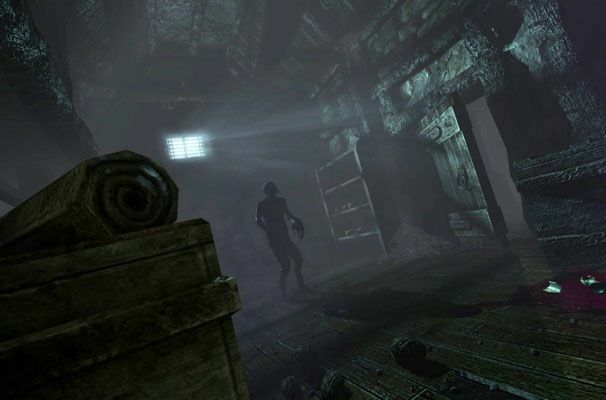 Throughout the years, more and more horror games have infiltrated the market, and they have begun to span across different genres. Most are survival horror, or mystery horror (puzzles!) much like precursors like Resident Evil and Silent Hill, but some indie developers have released games that don’t fit the generic label. Some focus more on story, some on gameplay, some on graphics, and some just are out to make the bloodiest, goriest game they can. It depends on what the gamer finds most appealing, and each is different. Here are some of my all-time favorites. My initial experience with Amnesia was during a party at my cousin’s house, when we were looking for something to do. He suggested this new game he had just gotten, but never got around to playing. I had heard of Amnesia before, but never had any initial interest in it; at the time, it sounded like a good way to waste time. Well, I was right. We ended up playing it until the end of the party, and my parents had to drag me home. First, let me say that I have never played the game by myself. Not to say it’s not a good game, because it is. In fact, it does such a good job as a horror game, that I would never want to play it by myself in fear of lasting psychological problems. This is the perfect game to play with a group, especially to see everyone’s reactions, and that’s why it’s one of my favorites. The ambiance created in this game is incredible, and downright frightening at times. The atmosphere and enemies are the stuff of nightmares. Since the actual gameplay/controls are pretty simple, the only thing that makes the game difficult to get through is the extremely immersive atmosphere. The first time I played this game was 18 years after it’s release. (Which sounds great, right?) I happened upon this little gem completely by accident on Wikipedia, and it caught my attention enough to watch some old play-throughs. I admit, a guilty pleasure of mine are RPGs, and this game was just the icing on the cake. While the graphics weren’t perfect, and there were plenty of glitches (at least in my copy), the story and the characters made me love the series enough to make it one of my top favorite games. It’s in-depth with side quests and storylines that could be separate games themselves. It’s not really scary, but there’s enough simulated blood and guts and sexual innuendos to make it rated M, no matter how goofy it gets sometimes. In come clans, you can control minds. How sick is that?! 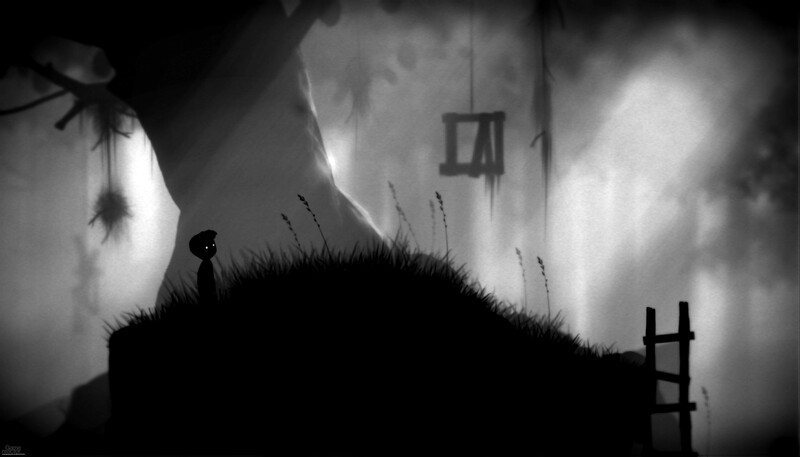 Limbo is a puzzle-platform game by the indie label Playdead. It’s a 2D sidescroller. There’s no voices. Quiet ‘music’ plays in the background, but it’s more ambient sounds then a solid track. It’s in black and white. In comparison to other games, it’s pretty short. So why is it so appealing? Usually, the thing that attracts me to a game in the first place is the aesthetics. And Playdead supplied Limbo with enough quality art that it won multiple awards for it, including “Best Visual Art” at multiple ceremonies. The thing is, there’s no outstanding graphics or advanced models. They strove to use a minimalistic style, using dramatic lighting to create the desired effect. There’s nothing truly advanced about the game, and that makes their achievement all the better. While the gameplay got frustrating at times — since it’s basically a “trial and death” game — it made up for it with true satisfaction once you moved on. The thing that makes me consider it ‘horror’ is, like Amnesia, the ambiance. The sound and lighting make the atmosphere very dramatic and creepy. That, and the character’s deaths are ridiculously gruesome sometimes. This game is so beautiful I want to cry. A true horror game if I ever saw one. 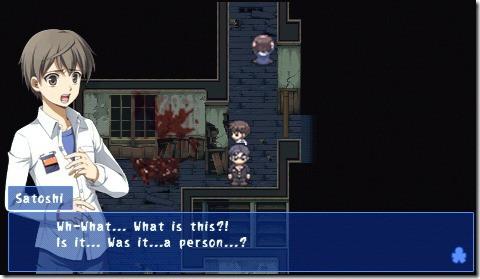 Corpse Party is a RPG originally released in Japan and developed by the RPG Maker software. It doesn’t apply the same techniques as Amnesia, what with the stunted graphics that usually come with RPGs. It’s pixellated and reminds me of the Pokemon games, with a few still manga cut scenes. No, what makes this one #2 is the story. The topics focused on in the story are genuinely horrifying, to the point that I actually felt sick during some parts. Normally, when stuff like child murder and torture is involved, I stop playing the minute it’s mentioned. I just can’t deal with that kind of stuff. But this game just drags you in! Each character storyline is interesting and immersive and the game has a mystery quality to it, as you have to solve the mystery around the school and the deaths in order to get out. What really impressed me was how well it told the story, and created tension and drama for the player, despite the simple RPG style. In the end, it was the story and it’s characters that made this game successful, and while graphics help, they’re most certainly not everything. I HATE THIS GAME, BUT IT’S SO GOOD. To make the point about the importance of story even more clear, I present my favorite ‘horror’ game. Ib is another RPG Maker developed game, with a pixellated environment and a simple-yet-chilling orchestrated soundtrack. The graphics are not anything to write home about, except the ambiance the game creates with what little is provided is great. It’s a colorful and creative world, the enemies are inventive and creepy, the other characters are very likable, and the twists in the plot as the game progresses give this game its indefinite dimension. 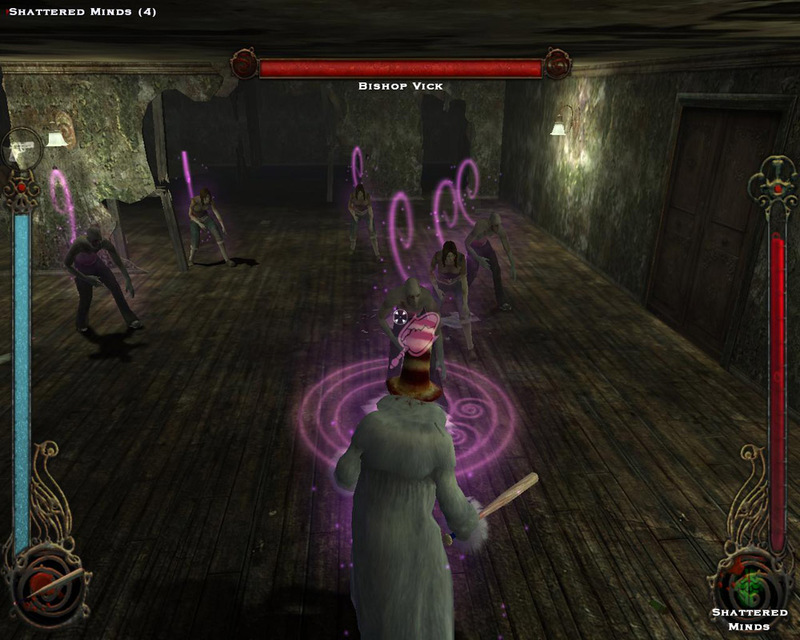 The tension and anxiety are created by the soft music playing in the background (not to mention the way it seems to get louder and more demanding as you’re being chased around by headless statues and crawling paintings), and clues leading up to a main plot point as you progress through a level. It builds the story up in a very simple and effective way. It also has multiple endings based on the decisions you make throughout the game, and while this technique has been done many time before, Ib‘s endings add a sense of reality to it. (Or at least as much as you can get) Technically, I wouldn’t really consider this a horror game, since it isn’t like games like Corpse Party or Amnesia. But Ib is on a level of its own. While it may not be the top horror-adventure game out there, it is my favorite for its original and creative plot and setting. 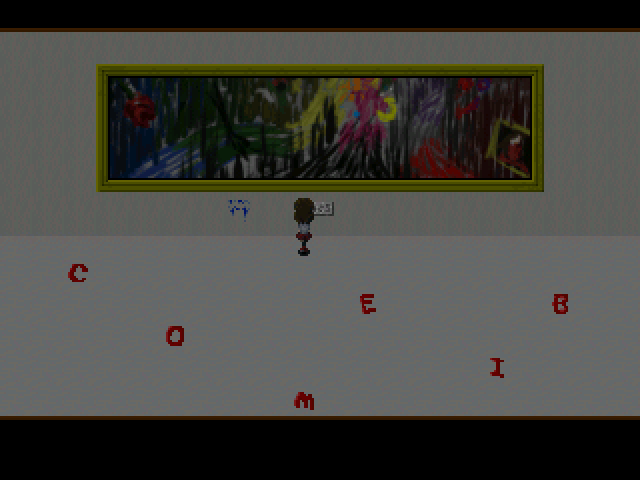 I mean you’re in a creepy, possessed art museum. How much more original can you get?! SO SIMPLE, YET SO WONDERFUL. This entry was tagged Amnesia, Amnesia: The Dark Descent, Corpse Party, Dark Descent Amnesia, Halloween, horror, horror games, Ib, Ib game, Limbo, Limbo game, Playdead, Resident Evil, review, RPG Maker, Survival horror, Vampire: The Masquerade, Video game. Bookmark the permalink. Ah! Amnesia is only ranked fifth? It’s my favorite! I’m a sucker for first-person horror/puzzle games. Check out Penumbra, too, if you get a chance. It’s fantastic, and by the same people who created Amnesia, so the controls/handles are the same. Woo, horror games!